Over each of the weeks of the Off Season Challenge, I'll be writing thoughts and tips about mindfulness. While each week will convey a particular skill or aspect of mindfulness, I really want you to think about each skill as being a link in a chain; week by week we'll build the chain. This chain can help you change your performance as an athlete and as a person. 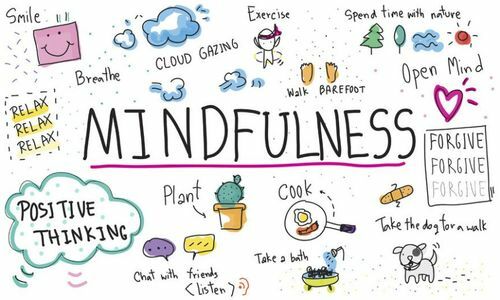 Like most skills, such as swimming or dancing, mindfulness takes time and practice to develop. It becomes stronger and more effective with practice. If I asked a swim coach what the most important part of becoming a great swimmer is, they would tell me practice, practice and some more practice. Similarly with mindfulness. So, for our first week, I'll define mindfulness and offer a basic way to start practicing. Mindfulness is a meditation technique that brings one's attention to the present moment, without judging, denying, solving, etc. By developing the skill of bringing one's attention to whatever is happening in the present moment, simply observing it, we start to change how our mind works. Don't try to control your breathing, just simply be aware of it. As you breathe, your mind will never be still, empty. That's okay, normal. Start with short periods of mindful breathing at first, maybe just 2-3 minutes each day. Try to "belly breathe" if you can.